Hello friends, today we are going to provide you tutorial about how to root Xperia U on ICS 4.0.4, 6.1.1.B.1.10 firmware. This is a single click root method and thus it is very simple. Rooting an Android phone helps you in getting the desired levels of freedom. Also, you can make some advanced modifications on your Android handset. This rooting tutorial uses Bin4ry root tool to root Xperia U on ICS 4.0.4. If you are interested in this then kindly read the disclaimer below and move towards the tutorial to root Sony Xperia U on ICS. Disclaimer: Rooting an Android device can be risky to the extent of your phone getting bricked or causing some data loss. However, these days’ rooting procedures have become safe and particularly simple. Thus this risk is reduced to a considerable extent. But if at all you wish to move ahead then kindly do so at your risk. This is because rooting can make the handset’s warranty void. Androidflock shall not be responsible for anything that may happen with your phone. As per XDA developer Bin4ry this rooting tool will work on most of the Android devices with ICS or Jelly Bean firmware. For this you will need a PC with Windows or Linux. PC should have ADB drivers installed. Take complete back up of your phone because this method may wipe the data and thus a backup will help you in such a case. 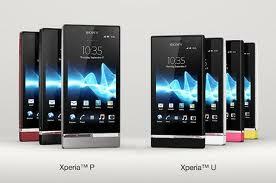 You must charge your Xperia U to the extent of 70-80 percent. Download rooting toolkit from here: http://forum.xda-developers.com/showthread.php?t=1886460. After you have downloaded this file extract it. Install connection between Xperia U and computer via USB cable. Now double click RunMe.bat (Windows) and RunMe.sh(Linux). On the screen you will be able to see some instructions. Follow them. Now Press Enter on keyboard. Your Xperia U is rooted on ICS 4.0.4 6.1.1.B.1.10 firmware. We hope you liked the above tutorial. We heartily thank Bin4ry for creating this amazing tool. In between, if you find any problems, do contact us. We shall solve your doubts and queries. Do let us know how do you find this rooting tutorial. We love getting your feedback.